Project Team | A Tribute to the "Architect"
Byblos Sud owners through the Owner's Association take direct responsibility for the village's budget, appointing property managers, staffing and third party contractors. The Owners Association shall, at all times, be vested in the property's control and shall be vested in usual budgetary approvals from the day they purchase their units During the first five years the Developers plans to remain on board to help manage the Owners Association and to establish and maintain the rules and standards of the village. Disclaimer: The contents of this website do not constitute an undertaking of any kind on the part of the seller/ promoter and may be amended, in whole or in part, without prior notice . Accordingly , no one can rely on this website and only contracts of some shall be. 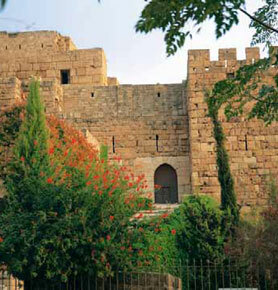 Built 6000 years ago, the City of Byblos stood out as the hub of ancient civilizations.